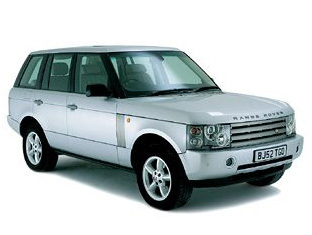 The third-generation Range Rover Vogue SE was introduced in 2002. It brought with it fresh styling and new drivetrains. It features a monocoque design with four-wheel independent air suspension which is ride-height adjustable. The Range Rover Vogue SE featured many standard features including multi function steering wheel, sunroof, full leather interior, four wheel-drive, SAT NAV, and electric heated memory seats and air conditioning. Oddly it shares many electronic components, including the Radio Function, Navigation System, Television and Telecommunications systems with the E39 BMW 5 Series.